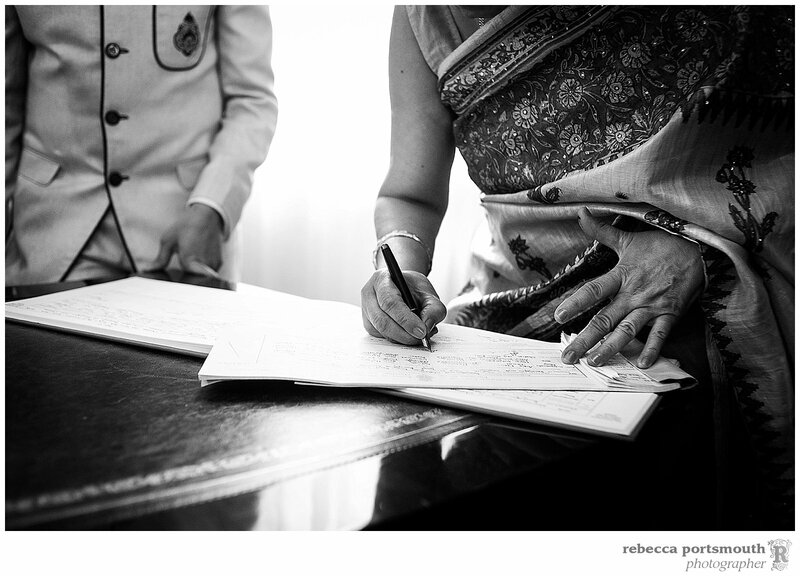 All weddings are different and have their own character. 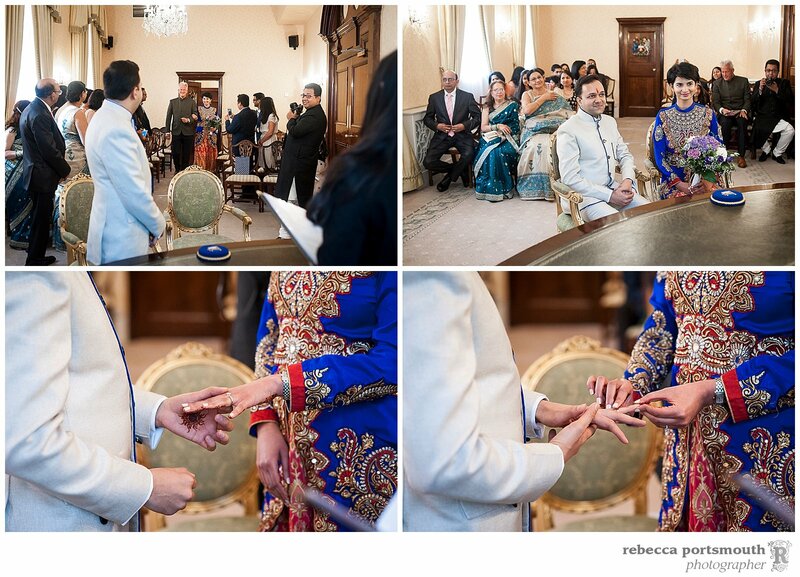 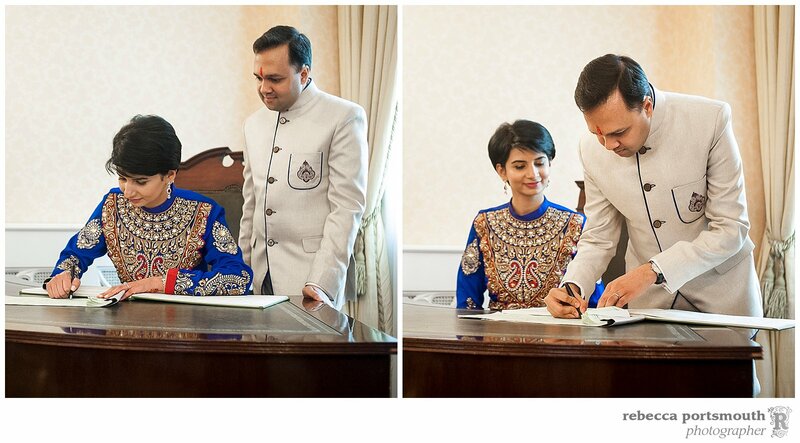 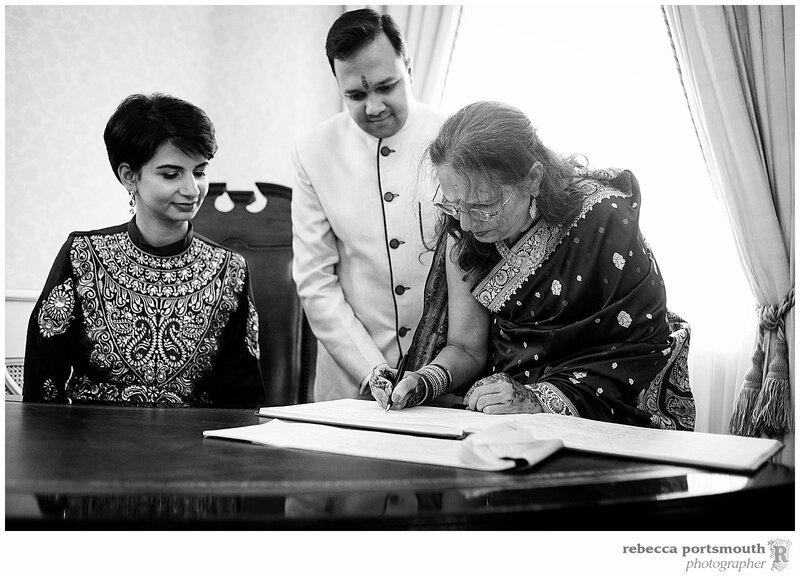 And looking at the Chelsea Register Office photos of Pooja and Ankit’s wedding day, one of the most noticeable aspects are their families. 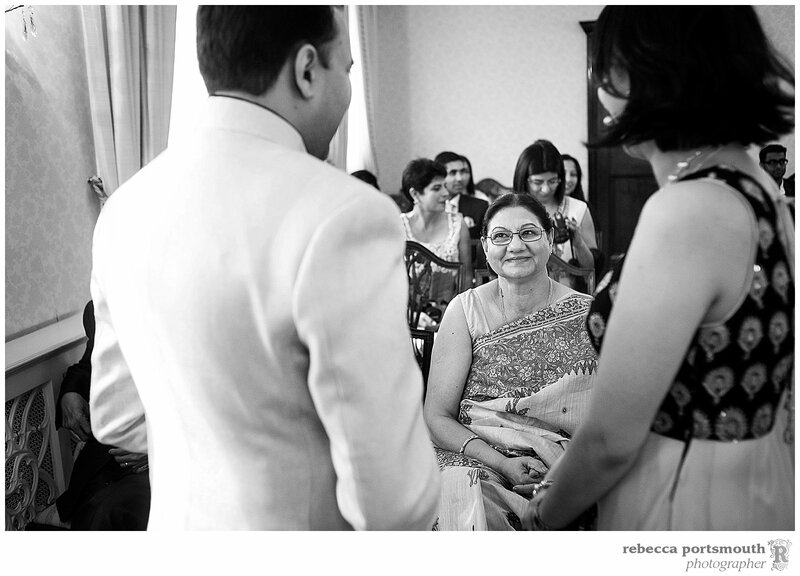 From the beautifully dressed parents and older relatives to the cheek-squeezing of of youngsters as they arrived, there is incredible warmth and care. 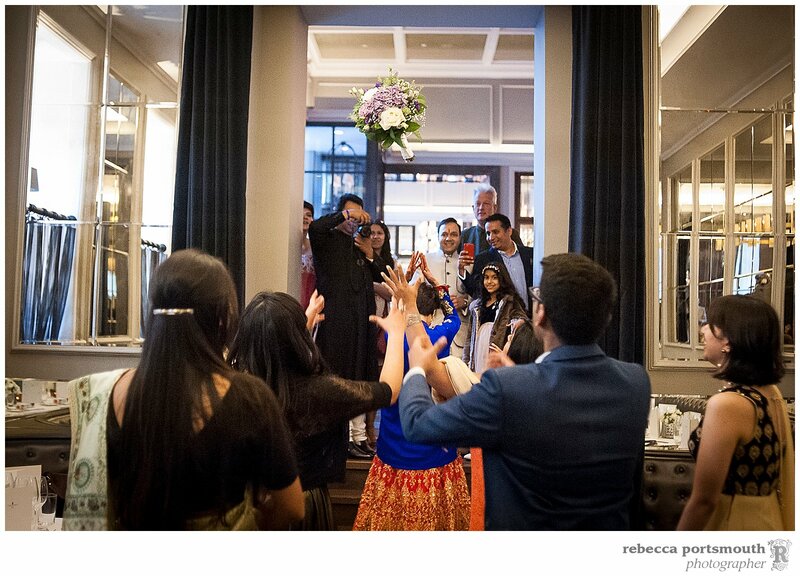 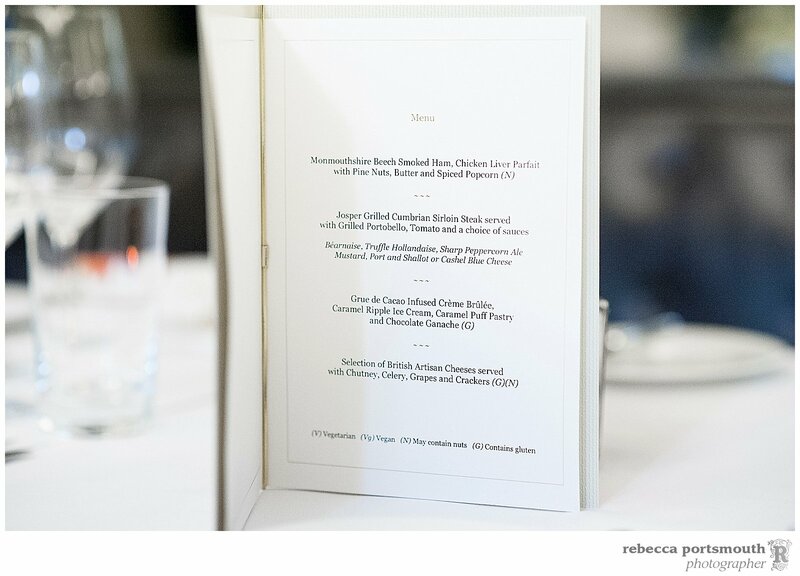 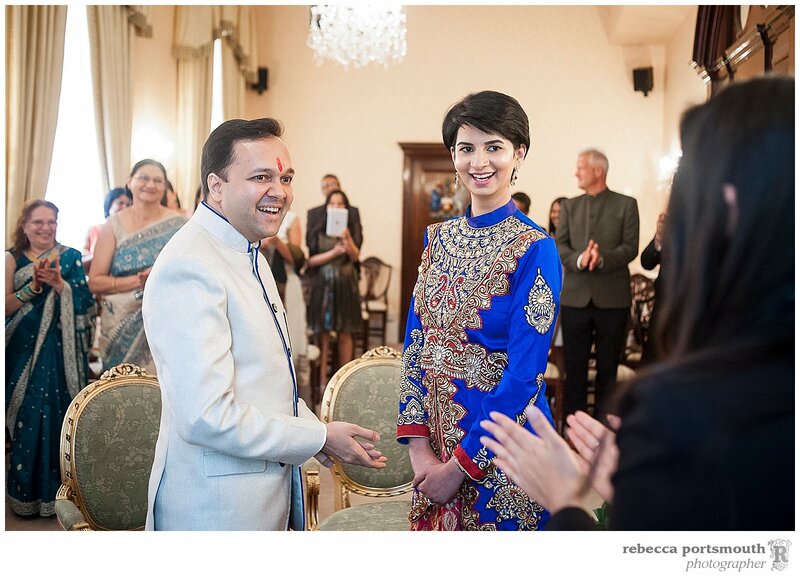 Pooja arrives on the arm of a family friend to join Ankit at the front of the Brydon Room – Chelsea’s largest room which takes up to 38 people. 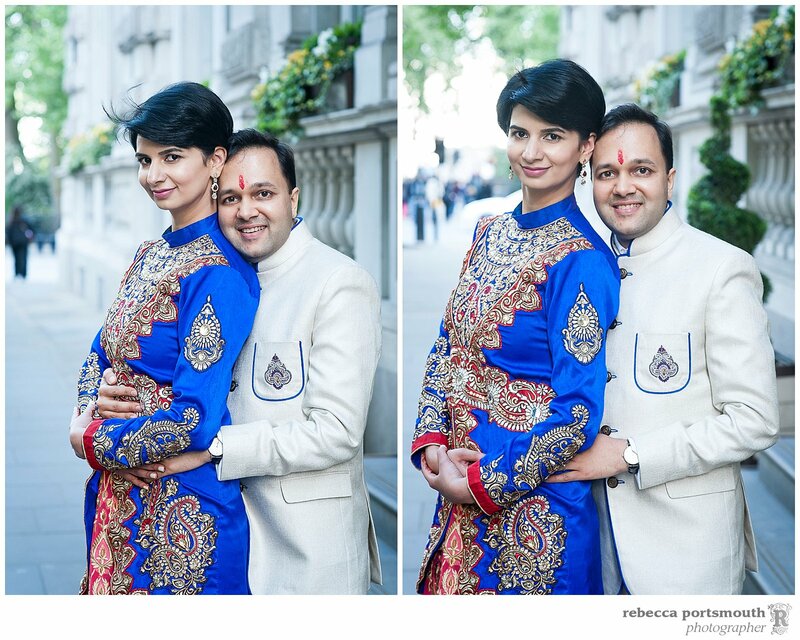 Pooja and Ankit had arranged a stretch limousine to take most of their guests from Chelsea Register Office to their wedding reception at the Corinthia Hotel in Whitehall Place, going via Parliament Square. 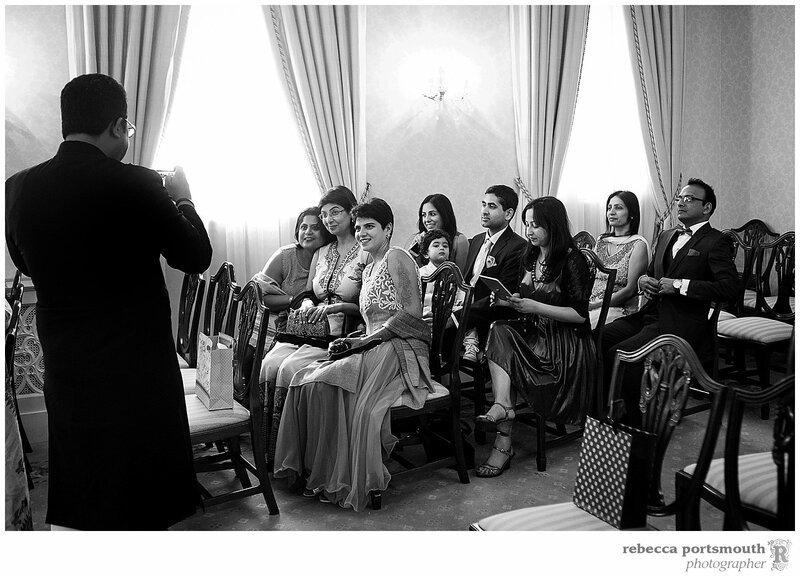 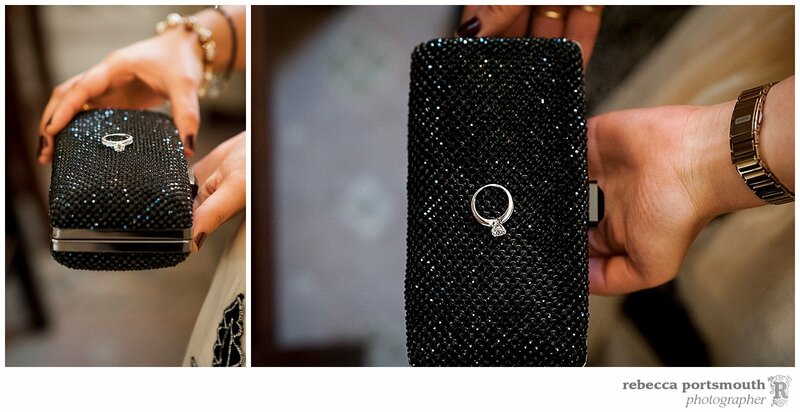 Pooja threw her bouquet at the Corinthia Hotel, with her unmarried girlfriends standing behind her. 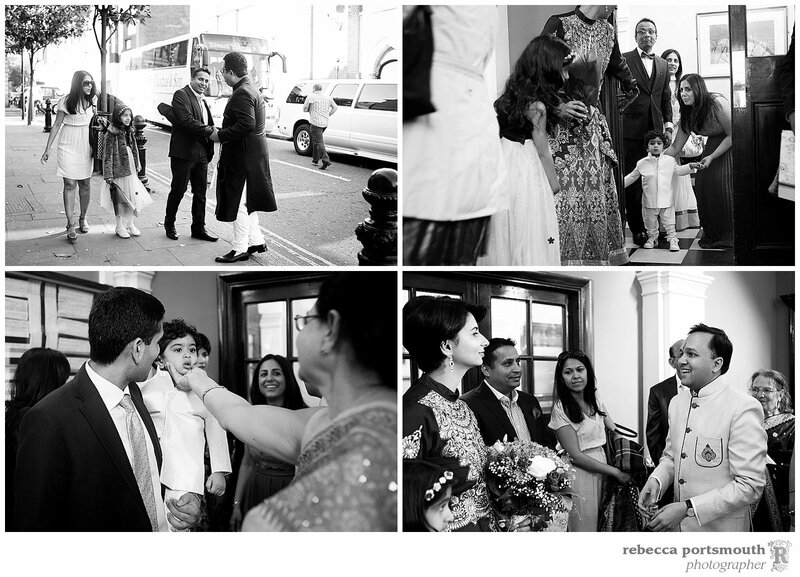 After some portraits, I finished my coverage of Pooja and Ankit’s day and left them at the Corinthia to continue celebrating with their families and friends.